I am by no means the world’s greatest photographer, but I enjoy doing it and it is a passion of mine. Someday, I’d like to have my own private collection of photography and hang worthy pictures on the wall. 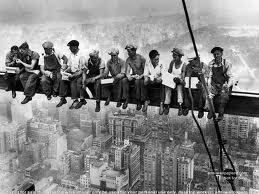 My tastes are eclectic: I love the photo of the skyscraper workers in New York City eating lunch on a steel girder about 30 stories above the ground and how calm they look. No. Stinking. Way. I would ever do this! 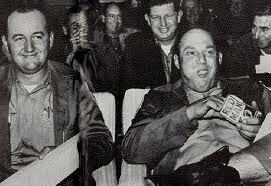 I also like the photo of the Mississippi law enforcement officers sharing a laugh during the infamous “Mississippi Burning” incident, just because that picture is a fascinating portrait of hatred, smugness, racism. I do not endorse the racial mentalities in this picture, I just think they’re captured extremely well. Oddly enough, the photographer who took this picture reported Sheriff Rainey was very polite during the shooting of the photo. I spent about two hours last night walking around the various displays and aiming to get great photos. Some turned out really good while others, well, not so much. When I’d find a good shot, I’d play with settings since the lighting provided can render some camera settings useless. I definitely need to improve my technical proficiency. I can’t think of a better analogy, so I’ll use this one: being a good photographer perhaps mirrors being a good hunter or sniper. You must be patient, observant and have attention to detail. One brief second is the perfect photo and then, before you know it, it’s gone. What do I look for in a great photo? Realism. I like people to pretend as if I’m not there. I may make occasional exceptions, but for the most part I hate posed photos. They scream “Fake!”. Well, technically I didn’t finish reading read Tom Clancy’s novel The Hunt For Red October. I tried. Twice. This time, I made it halfway through the book before finishing the rest in skim mode. I’ll watch the movie soon when I can. The idea was great, and I agree with a lot of Clancy’s politics. The problem was, I found this book to be far too technical. Clancy likes to describe technology, intelligence procedures and military equipment in explicit detail. It made for slow pacing and, frankly, boring reading. Yes, I know that President Ronald Reagan loved this book (which tells me his attention span was far longer than what his critics care to admit). But for me, while Clancy has great ideas, it just didn’t work for me. I’ve read the first entry of Anne Frank’s iconic diary. This was originally required as reading in my high school in the freshman or sophomore honors English program, but since I didn’t take honors English until my junior year, I missed out. 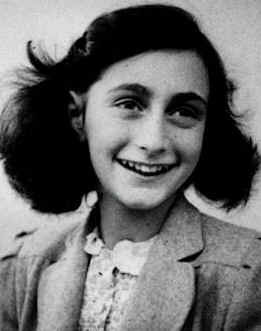 Little did Anne Frank know, her writings to “Kitty” would become an important piece of literature. I look at Miss Frank as a delve into two genres of literature: classic (it was written in the 1940s and, technically, was written not only in the prior century, but also in the prior millennium) and foreign (the German-born, Dutch-raised Frank was Jewish and penned her diary in Dutch). What we read in English is a translation. Having a short attention span has always made it a challenge for me to start and complete classics in literature, especially if they seem slow or are filled with archaic language. We’ll see how this process goes. I finally read Isaac Asimov’s The Last Question. Fascinating story, one that bears re-reading. I found it to be very enjoyable. To those who might be offended by it, they are forgetting it is science fiction. I personally believe God is eternal and unchanging, but, obviously, to the humanist Asimov, “god” comes about through enough evolution on the part of civilizations. Or maybe I’m completely misinterpreting the story. It does make you wonder something: is this story really intended to be in the distant future or is it describing events from the distant past? When God says “Let there be light” in Genesis, perhaps in Asimov’s mind the “god” of this short story was the result of perfection from the cumulative knowledge of countless other civilizations eons ago. Or, maybe it is a declaration that will be made trillions of years from now. I have often thought that atheism, in its purest form, actually does not disbelieve in the existence of a higher power; rather, the belief is that mankind through enough sufficient eons of evolution can become godlike. If you believe in billions upon billions of years of evolution (I do not), it is sobering to think that billions upon billions of years from now in another civilization in a distant galaxy, it will be as though we on earth never existed. 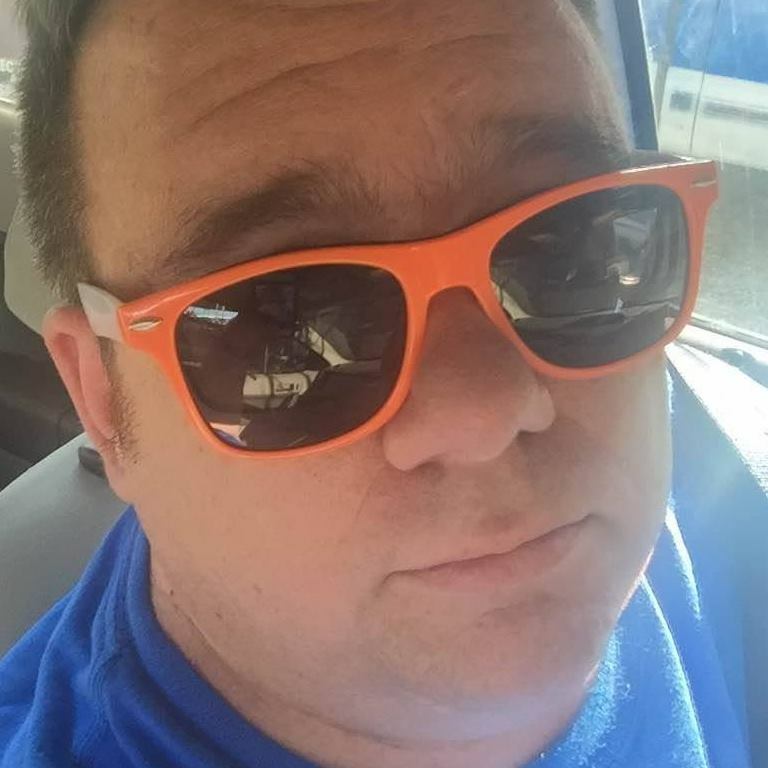 Richard Zowie is a Michigan-based writer who enjoys reading science fiction (even though he believes in creationism but also likes to keep an open mind). Post comments here or e-mail him at richardzowie@gmail.com. In the past 10 years as a journalist, I’ve dealt with various police departments. Some are unfailingly polite. Some are even more difficult to contact than the President of the United States. Some require you to pay for police reports while some won’t even let you look at those reports without a Freedom of Information Act request. A friend who has retired from the journalism business tells me it’s very difficult to build a successful working relationship with the police and very easy, with even one bad article, to tear down a relationship that took years to build. Twice in my life (I won’t say exactly when), I’ve written stories about sensitive matters and have been asked by my police source to keep a few items off the record. I complied, but another newspaper did not. When a newspaper publishes sensitive information that can compromise a police case, it can be devastating for the police and can result in them never wanting to work with you again. More recently, I had a disagreement with an officer about his procedures for dealing with the media. However, since then I’ve worked with this officer on one case. He told me there was no update on the case, and when I guessed why there was no update, he told me I was probably correct but asked that I not publish that. I complied. You know you’re making progress on the police beat when your source tells you, when you’re talking to him or her in private, to call them by their first name.